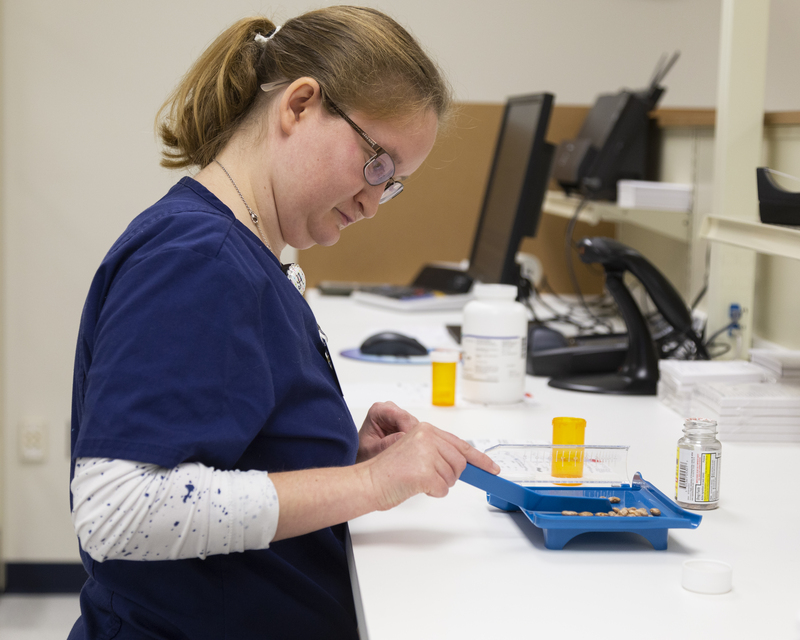 This program prepares graduates to assist the pharmacist in duties that a technician can legally perform and to function within the boundaries prescribed by the pharmacist and the employment agency. Course work includes effective communication and critical thinking skills necessary for safe preparation and distribution of medications. Graduates should qualify for employment opportunities in hospitals, nursing homes, research laboratories, wholesale drug companies, private and chain drug stores, and pharmaceutical manufacturing facilities. Graduates may be eligible to take the National Certification Exam developed by the Pharmacy Technician Certification Board. Courses will include content in normal human anatomy and physiology, mathematics, ethical/legal issues, business practices, and psychology. A strong science aptitude is recommended. Manual dexterity, critical thinking and problem solving skills, attention to detail, strong communication and interpersonal skills, sense of responsibility and initiative, and ability to work with diverse groups and individuals. 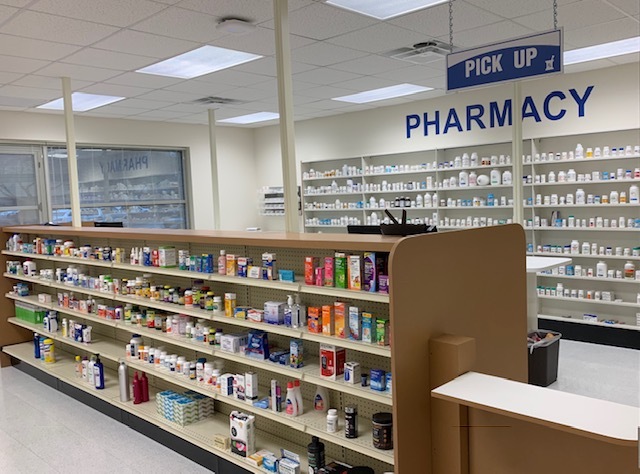 Forsyth Tech Pharmacy Technology Program is accredited by the American Society of Health System Pharmacists (ASHP), 7272 Wisconsin Avenue Bethesda MD 20814 or www.ashp.org. 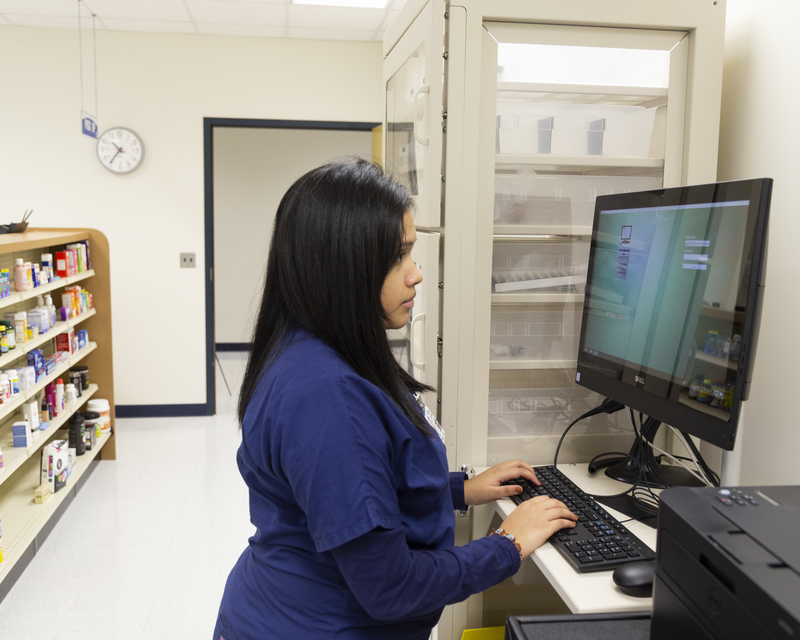 If you would like additional information about the Pharmacy Technology program, contact Mary Chamberlain, Clinical Coordinator, at 336.757.3350 or mchamberlain@forsythtech.edu, or Jean Middleswarth, Director of Health Services at 336.757.3288 or jmiddleswarth@forsythtech.edu.